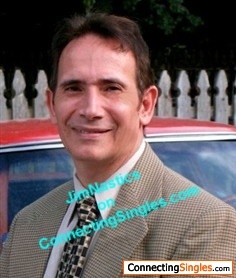 jimnastics: White Knight seeks honest thin nonsmoking local; damsel, princess, or wench. I have completed a postdoctoral fellowship; biochemically studying the protein domains of fibronectin. After this, I lectured & performed research at a major university for a decade (microbiology, genetics, biology, food safety). Retired early from teaching & doing research at a major university. Now for profit & fun I make & sell natural gemstone jewelry and do professional photography. Mostly, I am here to just share humor and laughter with those who appreciate it. However, IF the right woman showed up here (unlikely ? ), I am open to romance and much more. While I can become friends with any honest upbeat person from anywhere in the world, I know from lots of experience the type of woman I am most attracted to romanticly. At this stage in my life, it would be proper for the woman to be approximately in the age range of 35 to 50. She MUST be a NON-smoker, honest, affectionate, thin (i.e. USA size 1 to 5 pants) and live local to me. I am probably not open to some long distance romance with a woman on another continent, unless she is planning to move near me already anyway. Sorry. However, I have no objection to becoming 'just friends' with any honest & fun person from anywhere in the world. Carpe Diem ! So, what are you waiting for ? Investing some effort may get you positive results. Hello ?